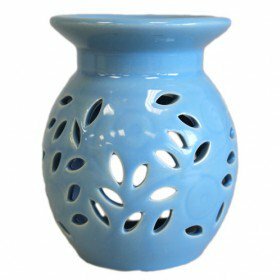 Blue ceramic oil burner, always places the oil burner on a heatproof mat. Ensure there is sufficient water in the container above the burner. Use good quality tealights.